Here is a great recipe that your best friend is sure to love. Happy International Dog Biscuit Day! Ooooh dog biscuit day!! Will have to get the girls more cookies!! Oh is that why Max was insistent upon a treat first thing this morning? I luv me some biscuits!! Oh yum, yum, treats!!!! I is sending Mum to Pets r Pups tonight to stock up on my cheesy star bakes...drool!!!! Looking good! We love biscuits...although at the moment we are loving our homemade chicken jerky that our dad made us!! Did someone say biscuits!? Yum! Thanks for sharing this yummy recipe! 3 bum swings! 3 more! Thanks for the history of the Biscuit Bentley & Pierre! I did not know that :) Thank you James Spratt! Pawsome recipe; it's similar to the ones my huMom makes but she uses coconut oil & bananas. I used to take my CBD oil in them to help manage my seizures. I'm on a break from CBDs while I adjust to my new meds. Have a wooftastic Nation Biscuit Day Bentley & Pierre! I better get off the computer and find some dog biscuits to celebrate! This is one of the best "days" we have heard of, must get the humans to celebrate it properly. Oh Yummy! Peanut Butter and Pumpkin is a great way to celebrate! We're going to have to get HER baking. We're getting tired of our breakfast biscuit bones. That recipe looks delicious. I loved reading about the history of dog biscuits! It's nice to see dog owners treated their dogs to biscuits as early as the 1800's. Happy Biscuit Day! :D They are too cute and that recipe sounds fantastic! I'm going to have to try it out! What a fun day to celebrate! Is there a International Cat Treat Day, too?? Peanut butter and pumpkin...those are the crews' favorites (amongst many other things....). We pinned the recipe and hope to bake some soon! 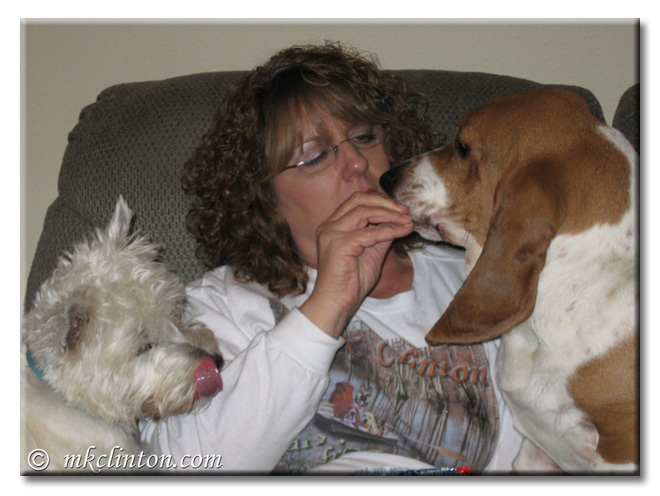 We thought every day was dog biscuit day! We just love peanut butter and pumpkin treats!! This recipe looks nommy AND easy to make!! We have NOT celebrated today - yet! Can humans eat that treat??? Sounds yummy! You lucky dogs, what a yummy sounding treat.